Now that the Pixel and Pixel XL have launched against the iPhone, Google’s going after Microsoft’s Surface Hub with Jamboard, its own collaborative digital whiteboard. The Jamboard makes it easier and more fun to collaborate with multiple teams on digital projects. Users simply write on the giant 55-inch touchscreen or organize media files on the display as if they were pinning things on a real whiteboard. With a price under $6,000, the Jamboard will also cost a few thousand bucks less than an equally sized Surface Hub when it launches in the first half of 2017. I admit, I wasn’t really excited for the Jamboard as I went into my briefing with Google, since it’s aimed at businesses. But it all clicked into place as Jonathan Rochelle, director of product for G Suite, opened up a new “Jam” canvas and started working with media from Google services like Maps, Drives and Hangouts. People remotely joined in and actively added things to the canvas, too. Jamboard is the right piece of hardware to tie together Google’s G Suite services. Jamboard is the right piece of hardware to tie together Google’s G Suite services. I thought about how my colleagues and I work together on projects, and it’s mainly through a Google Doc, where we can see changes made in real-time. My team and I could technically do all of the things that Rochelle demonstrated by copying and pasting photos and images into a doc (and by opening Hangouts separately), but it’d be a tedious multi-app and multi-step process. Jamboard brings all of these tasks into a single giant screen that can either be hung on a wall or mounted on a stand with wheels. Google’s decision to make the back of the Jamboard red is both inviting and Google-y exactly what collaboration should be. But the Jamboard is only one component. There will be related Android and iOS apps, too. The app for tablets will work more like a mini Jamboard with editing capabilities for anyone within a Jam. The phone app will be more passive and will not have the handwriting, drawing and video chat components due to its smaller screen (although that may change in the future update). I gave the Jamboard a quick spin and it’s quite intuitive. The 4K display is Google Cast-ready, so you can fling any Cast-ready media from your phone or tablet to it, and the responsiveness is rock-solid thanks to a 60Hz refresh rate. Jamboard comes with a couple of passive styli (about the size of a whiteboard marker) and a bun-shaped eraser (it’s just a chunk of plastic with a microfiber cloth). There’s also a built-in web browser. The digital whiteboard is Android-powered, so using it is instantly familiar. Rochelle says his team designed it so that it would be natural to use: Just walk up to it, grab a stylus and start writing and drawing. Tap a hamburger menu on the left side toolbar to access Google image search, a Chrome web browser and your Google Drive. Then it’s just a matter of dragging content onto your Jam Canvas. To erase, use your finger or the included eraser. There are also saw stickers and limited emoji to overlay on top of photo and drawings. Jamboard supports 16 points of multitouch, pressure sensitivity and handwriting. It also has shape-recognition software. Having toyed with the original Microsoft Surface tabletop and the Surface Hub, I can safely say the Jamboard is easier to use. As great as Microsoft’s productivity suite is, the UX design on the Surface Hub is anything but friendly; using a Surface Hub feels like work. The Jamboard, on the other hand, makes collaborative work feel like fun. And that makes all the difference. Both Google and Facebook have announced plans to go after the revenue of fake news sites, kicking the hoaxers off their ad networks in an attempt to prevent misleading the public from being profitable. 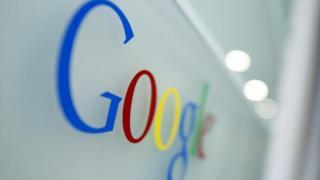 Google moved first, announcing on Monday a policy update which restricts its adverts from being placed on fake news sites. We will restrict ad serving on pages that misrepresent, mis-state, or conceal information about the publisher, the publishers content, or the primary purpose of the web property, a spokeswoman told Reuters. It remains unclear whether Google has the ability to correctly identify such sites, though. For hours on Monday, the search engines top news link for final election results led to a fabricated story on 70 News which claimed that Donald Trump had won the popular vote by 700,000 votes. In fact, Clinton is currently in the lead by the same margin, according to the AP. Later that day, Facebook updated the language in the policies for the Audience Network, its own advertising platform. The platform already bans ads in sites that show misleading or illegal content, and the update makes clear that those terms apply to fake news sites as well. Our team will continue to closely vet all prospective publishers and monitor existing ones to ensure compliance, a Facebook spokesman said in a statement. 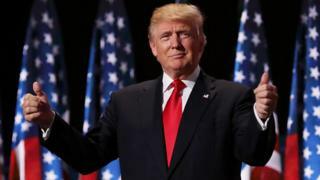 Facebook has been accused of potentially swinging the election in favour of Trump by failing to acknowledge the fact that its algorithm was promoting fake news to millions of users. According to Buzzfeed news, more than 100 pro-Trump fake news sites were being run from a single Balkan town in the run-up to the election. Cutting off the revenue to such sites by limiting the amount of money they can make from advertising may help limit their proliferation. But Facebook in particular faces a more fundamental issue given the ways in which its algorithm selects posts: if users engage more with fake news than real news, as seems possible, then Facebooks algorithm will promote the fake news. Even if sites cant make revenue through advertising, the possibility of other revenue sources, or even just notoriety, may serve to provide enough motivation. Facebook is reportedly internally split over how to deal with these concerns. Employees from across the company have secretly come together to try and tackle the problem, BuzzFeed reported on Monday, despite Facebook publicly playing down the role of fake news in the election. Although Google refused to be drawn on the cost of the UK investment, development experts said the new building in King’s Cross and the cost of employing thousands more staff was likely to put the figure at over 1bn. 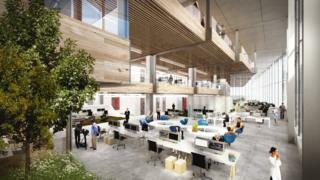 The office space owned by Google in King’s Cross will more than double. “The UK has been a tremendous market for us,” Mr Pichai told me. 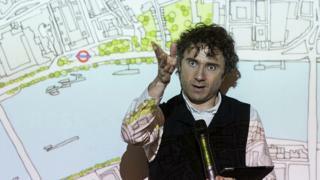 The new 650,000 sq-ft headquarters has been designed by Thomas Heatherwick, the designer behind the “garden bridge” across the Thames. He was brought in by Google after its founders, Sergey Brin and Larry Page, rejected initial designs for a new headquarters as “too boring” in 2013. Danish architects Bjarke Ingels Group are also involved in the project. He said Brexit may have complicated “secondary effects” over the longer term but it was too early to say what they may be. I asked Mr Pichai what the government’s approach should be to immigration controls. “I want to be respectful,” he answered. “These are important questions for the citizens of the UK to answer. “I think there are thoughtful debates to be had. “In our experience as a company, when we have been able to bring people together and operate in an open and connected way it achieves tremendous impact over time. “Those are the values we cherish, and we have been open and public about how we think about these things. 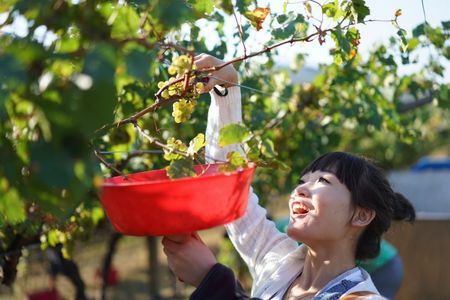 He said that he would “worry” if controls on skilled migration were made more stringent. 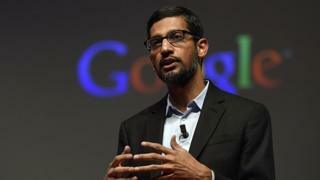 Turning to events in America and the election of Donald Trump, Mr Pichai said it was clear the country was “deeply divided”. “I come from India, I am used to a vibrant democracy, and it is the same in the United States. “It is important to remember that we had a democratic process and there has been an outcome. “As you can see the country is deeply divided so I tend to look forward and I think we need to figure out how to constructively engage with the new administration and hear the voices of people, as at Google we care about certain values – be it freedom of expression, the notion of inclusion and fairness, building open systems, building a connected world. Following the presidential election, Facebook and Google have faced protests over the dissemination of “fake news”, with their computer systems often promoting stories about Mr Trump and Hillary Clinton that were false. Some have even suggested that the stories may have affected the way people voted, and ultimately, the outcome of the vote, an argument dismissed by Mark Zuckerberg as “pretty crazy”. “This is very important to us,” he said. “At Google we have always cared about bringing the most relevant, the most accurate results to users and that is where almost all of our work goes at the end of the day. “It is important to remember that we get billions of queries every day. “There have been a couple of incidences where it has been pointed out and we didn’t get it right. “And so it is a learning moment for us and we will definitely work to fix it. “Just in the last two days we announced that we will remove advertising from anything we identify as fake-news. “Over the last year we have looked at things like how do we fact check articles, the notion of trusted sources in journalism – how do we promote those better. “I think there is a lot of discussion about this in the context of social media. “I am not fully sure. “Look, it is important to remember this was a very close election and so, just for me, so looking at it scientifically, one in a hundred voters voting one way or the other swings the election either way. Given those tight margins, I asked, could fake news have affected some people’s vote – and maybe enough people’s vote to affect the outcome. “Sure,” he answered after a pause. “You know, I think fake news as a whole could be an issue. “From our perspective, there should just be no situation where fake news gets distributed, so we are all for doing better here. “We have always said that the US corporate tax structure is part of the problem in the overall corporate structure globally for multi-nationals,” Mr Pichai said. “As a company, we want to be a good citizen in every market we are in and that is true for the UK as well,” he said. “To your question on tax – today, we contribute a lot to the UK economy and we enable for example small businesses to be the engine of any economy. “We are happy to pay our fair share of tax. “As you know tax is a global construct. We are a multi-national company in well over 100 countries and we have advocated comprehensive tax reform so we can engage and get to a better place. On criticisms from competitors and in Brussels that Google has acted anti-competitively, Mr Pichai said “there has never been a day at Google where we have had a construct like that”. Google Photos is the best photo-management tool you can put on your phone, but it wont do you any good if your favorite photos are all in a shoebox. With a new app built to scan your prints, eliminate any glare youd get from taking a picture of them, and keep them all straightened out in digital form, Googles latest mobile app is good news for anyone with a bunch of packed Fotomat envelopes. It’s bad news for anyone in the scanner or shoebox industries. The new PhotoScan is a standalone app for both Android and iOS, and scanning a picture is a clever combination of manual shooting and computational photography. Once you take an initial photo of… a photo, the app recognizes the four corners of the frame and displays circular overlays on each corner of the scanned image. You then point your phone camera at each circle, create a robust scan of the image, and PhotoScan gets to work from there. Unlike just shooting a smartphone photo of an image, which is a tricky dance of glare and shadows and blown-out details, the four-corner scanning process eliminates reflections and other aspects of digital deterioration. Like an old-school panorama app, PhotoScan stitches together a single image from those several overlapped photos, making sure to eliminate any glare-infected shots while evening out the overall exposure. Once its captured, a photo is backed up online and added to your Google Photos library, where the app offers its standard face-recognition and manual enhancement tricks. Itll be a great showcase for Google Photos facial recognition over time; the app is already really good at identifying the same person over the course of their life with its computer vision, and the onslaught of old scanned photos should be a brand-new test for the apps impressive AI. Along with the PhotoScan app, Google announced some new editing features for all Google Photos users: A new version of Auto Enhance that uses exposure and saturation levels inspired by pro photo editors, new controls for light and color levels, and a dozen new looks that go beyond your average Instagram filter by adapting their effects to the attributes of each photo. The free PhotoScan will be available for Android and iOS starting today, while the new Google Photos updates should begin rolling out immediately as well. Folks in the U.S. who had pre-ordered the Google Pixel have started getting their redeem codes for a free Daydream View virtual reality headset. According to 9to5Google, who first reported on the news, the codes have been arriving to customers via email. Once you get a code, the process is as simple as clicking a button, adding a Daydream View to your cart and check out, with a zero dollar price. For those who haven’t pre-ordered a Pixel and still want a Daydream View, no problem: If you’re in the U.S., UK, Germany, Canada or Australia, you can order yours now for $79 in Google’s online store. Daydream View is a comfy, simple virtual reality headset built to work with the Google Pixel and Pixel XL phones (with more to come). Read our review here. PhotoScan digitizes old photos in seconds. Google Photos is arguably the best photo service for storing your photos and videos, and now Google’s got a new app called PhotoScan that makes it stupid easy to digitize old printed photos and upload them. The free app launching Tuesday on iOS and Android uses Google’s powerful machine learning to turn print photos into digital pics in seconds. The real pain of digitizing print photos is what a hassle the entire process is. You either need to use a big, slow scanner or get them professionally scanned, which costs money. PhotoScan works like magic and produces a reflection-free image. You can scan photos that are on a table or in a frame on a wall. It even works through glass frames. You start by taking a photo of the picture you want to digitize, and then the app overlays four circles on top of the image. Simply move the circle outline above the four circles displayed on the photo until they turn blue, and voila, you’ve got a perfectly scanned photo. But how’s the app actually producing a reflection-free digital scan? The answer is pretty simple: The app is actually taking four different photos when you match the circles up and then composites each photo into one final image, intelligently omitting out the areas that are overexposed (white) while cropping and auto-rotating it. There are also tools for more advanced users who want more control over the cropping. From start to finish, digitizing a photo takes less than 10 seconds. And because they’re all stored in Google Photos, you have access to all of the powerful object and face recognition search features. The quality of the scans will depend on your phone’s camera. From what I could tell, scans taken with a Google Pixel looked good, but just don’t expect anything super high-res. Google also updated Google Photos with a few new features, including fun editing tools and filters. Some of the new editing features let you go in and really tweak a photo to, say, make skies and water bluer, while maintaining skin tones. It’s really powerful stuff, and Google says it’s only possible using its machine learning to isolate parts of a photo. The new filters like “Bazaar” and “Modena” are designed to replicate old film stock. For “Movies” in Photos, there’s a new “Lullaby” montage template that auto-creates a short video out of photos of your baby sleeping and sets it to a slow lullaby. Google says there are more of these video montage templates planned. A Christmas template that’ll create a “holiday tradition” video of past Christmases will roll out in December, a template to celebrate pets will come out in April in time for National Pet Day and one for celebrating the outdoors will arrive for Earth Day. Like all of the auto-generated Google Photo Movies, users will have up to 25 days to save them before they expire. And lastly, Google’s made it easier to share photos from everyone’s devices with Google Photos. You can now send a batch of photos to friends and family via email, text or a messaging app. Recipients will receive a link with thumbnails of the photos sent and they can add their own photos to the shared folder you created. Sharing photos via Google Photos is easier now. Google is cutting fake news sites out of its ads service. 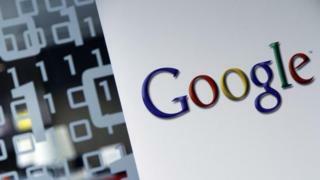 Amid growing criticism over the role of online platforms in spreading fake news, Google has announced plans to shut out websites that traffic in misinformation from its third-party ad service. The search giant said Monday night that it would ban all publishers with articles intended to mislead or deceive readers from its AdSense network, the exchange through which Google sells display ads to independent sites across the web. “Moving forward, we will restrict ad serving on pages that misrepresent, misstate, or conceal information about the publisher, the publisher’s content, or the primary purpose of the web property,” a Google spokesperson said in a statement. The company said the update was intended to match similar policies it already has in place to block deceitful ads such as weight-loss scams or false drug promises. The Wall Street Journal first reported the policy change earlier on Monday. The move comes as last week’s election results bring online platforms under increased scrutiny over how much responsibility they have to ensure the veracity of the news they help circulate. Facebook, which has born the brunt of this backlash, repeatedly surfaced demonstrably false news stories in its trending topics section in the months leading up to the election a disproportionate number from right-wing conspiracy sites. Critics say the social network should do a better job of vetting these kinds of hoaxes. But even Google News, which supposedly tightly regulates the accuracy of stories that appear in its results, is not immune, it seems. Hours before Google made the change, the top news item when users searched for “election results” was an erroneous post claiming Donald Trump had won the popular vote. Facebook CEO Mark Zuckerberg has repeatedly denied that hoaxes have any effect on public opinion among users, but it seems not everybody at the company agrees. BuzzFeed reports that a group of “renegade employees” have formed a task force to take on the scourge of fake news on the platform.